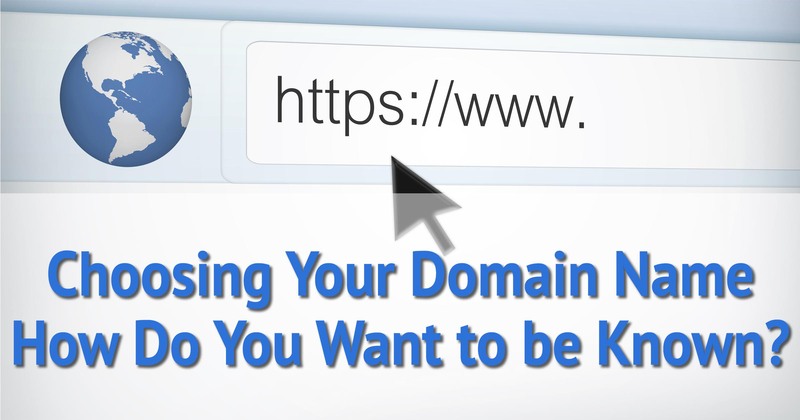 You are here: Home / Your Domain Name / Choosing Your Domain Name – How Do You Want to be Known? 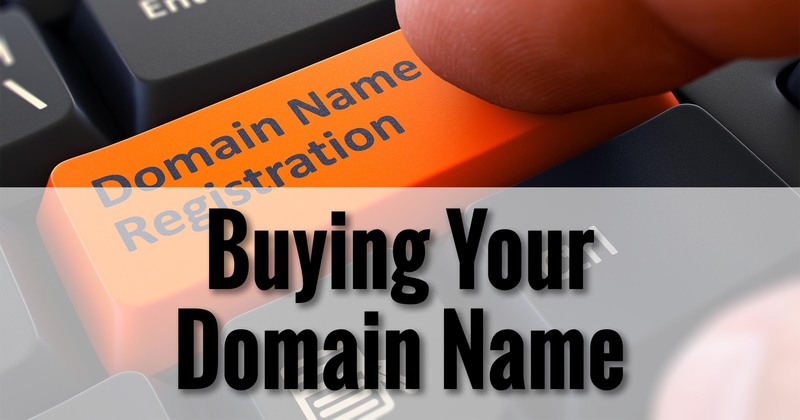 Your very first decision may be the most important: what domain name to purchase. It tells the world who you are. It helps the world find you. Consider “askleo.com“. That short, simple domain name works both ways: if you search for “ask leo” it’s the first result, and if you visit askleo.com, it’s pretty clear that my site’s “brand” is, indeed, Ask Leo! But all the good domain names are taken! As important a decision as it is, choosing a domain name is also one of the most difficult. Chances are, you want to be known by something short and simple. Unfortunately, it’s likely that all the short, simple domains have already been taken, or are only available for a premium price on the secondary market. Given its importance, and adding in the low probability of getting the “simple” domain name that you really want, what are the priorities in our search? Unique. You don’t want people searching for you and finding your competitors instead. Memorable. It should be easy for people to remember your domain when they want to return. Unambiguous. It should be easy to get your domain right if people only hear it. Short. Think about people trying to type your domain on a mobile device, and you’ll understand why shorter is better. “.com” It’s what people type in by default, even when they shouldn’t. As I said, your ideal domain name should have all these characteristics. However, it’s likely that, along the way, you’ll need to make a compromise or two. Let’s start with some broad domain-name categories. If you have a business with a unique name, you may get lucky and be able to pick up your direct domain name. Of course, if you haven’t named your business yet, domain-name availability may be something you’ll want to factor into your choice. I was fortunate with my business entity, Puget Sound Software. It was a company name name I’d created over 30 years ago. When I went to look, pugetsoundsoftware.com was available. Similarly, when we elected to put my wife’s former retail business online, the domain dollsandfriends.com was easy to pick up. Adding “llc” or “corp” to the domain name, according to your business’s structure. For example, I might have tried for pugetsoundsoftwarellc.com. Adding a location – anything from country to city – if your business is targeted at a specific geographic locale. In my case, perhaps pugetsoundsoftwareusa.com. Using initials or other shortcuts in place of components of the name. I might have tried pssoftware.com. Hopefully, you get the idea. Especially when it comes to common business names, some creativity will likely be called for. Keep in mind, though, that the more memorable it is, and the more related it is to your business’s name, the higher the likelihood that people looking for you will remember it correctly and find you. Using your name for your domain name is often the best approach for individuals whose names are their brand, or for anyone just wanting a personal domain name that they can keep indefinitely. The most common examples are individual professionals and service providers. The key, as always, is understanding what search terms people will use in order to look for you. If the answer is your name, then having your name as your domain is probably what you want. Naturally, the more unique your name the better. Once again I’m lucky in this regard; leonotenboom.com was available. A prefix, such as “Dr”, “Mr” or “Mrs”. A professional suffix, such as “MD”, “PHD”, or whatever is appropriate for your situation. Just as in a business domain, additional modifiers (like your location, using your initials and last name, or anything else that feels natural and yet still clearly identifies you) could work. One modification that can work in locales where this way of referencing families is common, is to prepend “the” and add “s”. As I said, notenboom.com is taken, but I also own thenotenbooms.com, which can also be an appropriate personal domain. Another alternative completely avoids using names at all, and that’s using the product, service, or topic you want to be known for. Do you sell widgets in Wichita? Then maybe wichitawidgets.com is the domain for you. Do you offer online eye tests? Perhaps onlineeyetests.com or eyetestsonline.com would work. As you can see, in many cases this approach lends itself to the combination of product and location. This can work well if what you offer is something people look for in conjunction with a location. It’s not at all uncommon for a search to be something as simple as “item city” when people are looking for something nearby. If what you want to be known for fits that model, this might be valuable approach to finding a domain name that meets more of our criteria. Naturally, I’ve only scratched the surface. You could pick terms or acronyms or just about anything from your business, background, hobbies, or more, perhaps add modifiers, and come up with a wide range of possibilities. 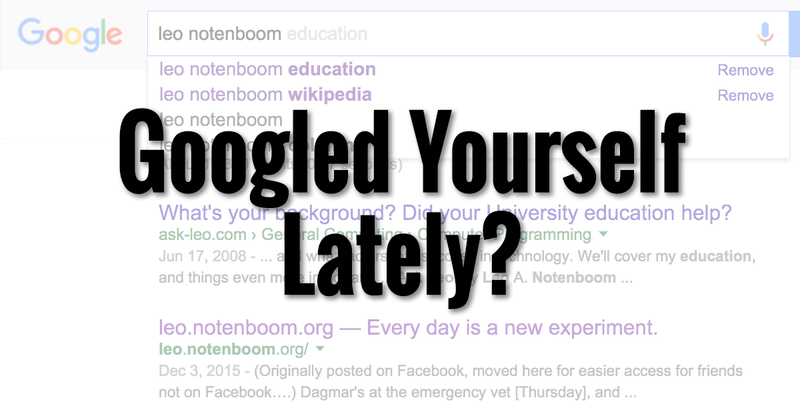 What search terms might people type when they’re looking for you or what you have to offer? corgwn.com: a very common mispelling of the proper plural (from Welsh) of “corgi”. As you might imagine, it has Corgi-related topics. pnwpicnic.com: an example of using an acronym in a very easy-to-remember way. This domain points to the page for the annual Pacific NorthWest Corgi Picnic. n7leo.com: my amatuer radio call sign. bestofaskleo.com: a specific offering from Ask Leo! As you can see, domains can have a very narrow scope, or be very broad. It all comes back to how you want to be known, and found, on the internet. I strongly recommend, if at all possible, you get your domain on the “.com” top-level domain. It remains the most common, trusted, and assumed top-level domain on the internet. The only exception for which I would proactively recommend otherwise is if you live in a country other than the US, and your business or reputation is focused within that area (or if the majority of the people looking for you would be within a specific locale). In these cases, choosing a country-specific “.com” equivalent – like “.ca” for Canada, “.co.uk” for the United Kingdom, “.nl” for The Netherlands, and so on – may make more sense. But you can almost never go wrong with a “.com”. The issue at play here is that people expect it. Left to their own devices, people will even assume it. So even though you might say “somerandomservice.net“, they’ll miss the “.net” part completely and type in “.com”. If that happens to be your competitor, you’ve just given them traffic. In any case, the person who thinks they’re visiting your website probably isn’t. Now, while “.com” is preferable, the rule isn’t absolute. Sometimes the exact thing you want is available on “.net”, or, as in the case of my last name, “.org”. Then, depending on how the domain is going to be used – perhaps it simply won’t matter (as in the case of my personal domain), or through some appropriate or clever marketing – you can still successfully direct people to your site on a non-“.com” domain. Currently, the “big three” domains are “.com” (for commercial purposes), “.net” (originally for networking, and now just kind of techy), and “.org” (intended for non-commercial use). I wouldn’t stray outside of those three without some serious thought. It’s not that domains with these top-level extensions can’t work, it’s just that you’re often starting at a disadvantage – both technical and perceptual. “.info”, “.biz”, “.us”, and others carry a reputation that is often not something you really want to associate with. “.info”, for example, was associated with a lot of spammy, less-than reputable resources early on. Two-letter top-level domains, such as “.me” and “.tv”, are actually country specific, but many have been re-purposed for their more commonly understood mnemonic value. Once again, they can work, but you’ll need to purchase from the foreign registrar (or from a local registrar who can do it for you), and often at a premium. In recent years, another group of top-level domains has become available: full words. You may have seen ads selling domains like “yourdomain.expert” or “yourdomain.technology” and so on. Not only do the vast majority of people not understand that these are top-level domains (they often still add “.com” when typing them in), they’re simply not generally as trusted as the “.com” everyone knows and loves. (Though none of that stopped me from registering askleo.guru and leo.coffee – but that was more for geeky fun than an actual business decision. 🙂 ). When people find that the domain name they want is taken, another common practice is to add dashes. This is how I originally ended up with ask-leo.com – askleo.com was taken by a domain squatter. Even if you say “ask dash leo dot com”, people often misinterpret. A friend who had “online-tonight”, a website for his radio show, found that some people were literally typing in “onlinedashtonight”. Conversely, some will forget the dash and not type it in at all. People will assume your domain name from your company name or product, and they won’t assume a dash. This last point is what finally pushed me to purchase askleo.com from the domain squatter for an exhorbitant price. As people heard “ask leo”, they assumed “askleo.com” – and that wasn’t me. It is now. I’d avoid dashed domains if possible. With all these thoughts and guidelines to chew on, in my next post we’ll take steps. I’ll review a useful tool for researching available domain names, cover some of the decisions you’ll make when purchasing a domain name, and then I’ll actually purchase a domain name! I have been following “Ask Leo” for a couple of years now. This is the first time for commenting. I have been reading Ask Leo! On Business from the beginning and have to say it has been great. Each post has gone into detail but has not been overwhelming in either content or comprehension. Not quite ready to act on it yet. I know exactly where I will go when I am. Thank you for sharing all the great information Leo. Tanks Leo! Very good information and look forward to more! I would add, think about how people interpret the individual letters. Is that lower case “l” an L or a ONE “1”? It that a capitol O or a zero 0? Even “Q” can be confused if not looked at carefully. Lower case RN can look like “m”, etc. I’ve had to cut paste domains into a word processor and convert to Courier font to help me understand what some characters are. As a result I picked a short domain that was a meaningless word but didn’t have any questionable characters to avoid typing mistakes. Search engines put a relatively high value on a search term that appears in the domain name. If you have a business that deals with an easily identified product or service try to pick a name with that product or service in the domain name. JaneSmithQuilting.com is better than JaneSmith.com or JaneSmithStudios.com. You get personal identification (which is the way many folks who already know you will search) and product/service identification for new customers who don’t know you but are looking for your service. JaneSmith.com is probably long gone anyway so this solves 2 problems; the availability of a good name and better search engine optimization. Also, capitalization doesn’t matter in domain names so use it in your advertising material to make your domain name more readable. JaneSmithQuilting.com is more readable and memorable than janesmithquilting.com. Well, they do and they don’t. The keywords in domain names mattered a lot, some time ago. As a result website spammers and scammers used that to game the system and push less-than-legitimate sites to the top of search results. As a result of that Google adjusted the algorithm to not value it as highly. That’s where we are today. Tomorrow, who knows? So while it’s “nice” to have your keyword in your domain, it is nowhere near a requirement, or of excessive benefit. It’s “nice”, but not worth a lot of extra angst or effort. I’ll be covering SEO in upcoming posts. One thing I’ve discovered from having a .org domain name is that people assume that it’s serious. Most people thing you need approval to get a .org name in a similar manner that you need for a .edu name, so .org can be a good idea. I’d also get registered with all of the major top level domains as possible such as .com, .net, .org to prevent the competiton from getting it. be VERY careful when ‘researching’ your possible domain name. I have had 3 ‘possible’ names abscounded by domain squatters. In a matter of hours or a day!!. – one was with a reputable/popular registrar. I’ve never had this happen, though I keep hearing from people who are afraid it will. Most important thing is, I think, to stick to reputable domain registrars and tools when researching. Very helpful email. As part of your next email, will you please include your thoughts about searching for a domain game before you’re ready to purchase it. I always been curious about this. I’ve often wondered if a person finds a good domain name is available and doesn’t purchase it right then, whether the party sponsoring the domain search engine will purchase it. What do you think? Thanks. As I replied to another comment, I keep hearing people be worried about this, but I’ve never seen one confirmed case of it happening. Most important thing is, I think, to stick to reputable domain registrars and tools when researching.